TheraTears Nutrition provides omega-3s with vitamin E.
Your body uses omega-3 oils to support healthy tear production. Oil glands in the eyelids need omega-3 to make the healthy oil that coats your tear film and reduce evaporation. 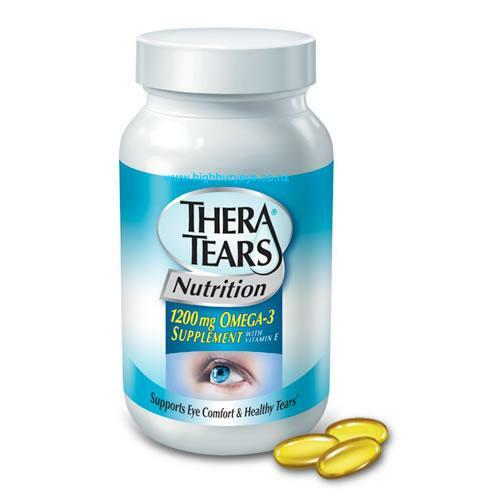 In dry eye conditions or if you have poor tear film quality, taking TheraTears Nutrition may be beneficial. TheraTears Nutrition contains 90 Capsules per bottle. Suggested use: Take 3 capsules in the morning or as recommended by your health professional. Only take supplements as directed by your health care professional.